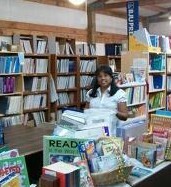 A look at the inside of our store, The Curriculum Exchange. With friendly, helpful advice we are a resource for: Home School, Teachers, Students, Private/Christian Schools, and Public Schools. We have grown from 52 consigners to over 500 and over 15,000 items serving families and shipping orders locally, throughout the US and Internationally. We sell NEW & USED homeschool, Christian, public school curriculum, references, classic books, children series, literature guides, games, puzzles, aids, manipulatives, educational software, parental helps, historical fiction & non-fiction and much, much more! Check out the more than 15,000 new/used items on our website, CurriculumExchange.com (n=new; u=used). Used curriculum priced 25% or more off current retail price. Non curriculum items priced 50% or more off retail price! We consign/carry/stock popular publishers, such as: A Beka, BJU, ACE/School of Tomorrow, Alpha Omega (LifePac, Horizon, Weaver), Rod & Staff, Christian Liberty, Christian Light, Sonlight, KONOS, MCP, Math-U-See, Saxon, Beautiful Feet, Five-in-A-Row, etc. Classical Education: Greenleaf Press, Veritas Press, Smarr, Susan Wise Bauer and more! In order to consign, see our Consignment page for more information. If you don’t see what you need today, put us in your “favorites” and check back next week! We hope to see you soon during regular business hours or by special appointment or talk with you over the phone. Whether you come to our store, call, or email us, we are here to serve you with personal, helpful, and honest advice from our personal experiences in order to help your schooling needs. If you bring your children, we have a play area for them to enjoy. So come in and take your time! PLUS: Landmark readers, G.A. Henty books, Classic readers, Children’s Series (Boxcar, Dear America, Little House, Berenstain, I Can Read, Winnie the Pooh, Left Behind, Magic Tree House, Magic School Bus), Answers in Genesis books and many, many more! We carry NEW Christian Liberty, Saxon, Reason for . . ., Explode the Code, and Wordly Wise consumable workbooks for 5% off retail. We can also order other items. We also carry NEW BJU consumables worktexts.